New Zealand is one of the most consistent teams in ODI cricket and has quite a lot of big hitters. One of the oldest teams to play cricket, New Zealand are yet to win an ICC World Cup and their best chance came in the year 2015, when they hosted the tournament along with fierce neighbours Australia. New Zealand boast of tremendous levels of consistency and have regularly made it to the knockout stages of most ICC events. 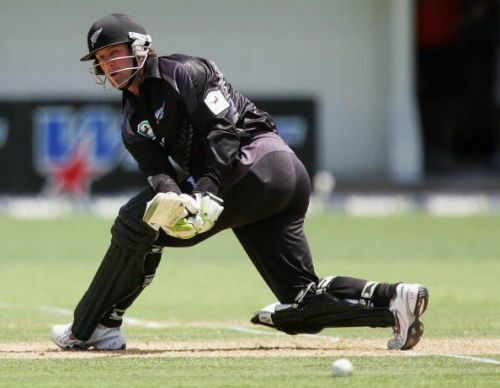 The Kiwis, throughout their ODI journey, have unearthed some of the superstars like Stephan Fleming, Martin Crowe, Brendon McCullum and Nathan Astle. Astle was a gutsy batsman and a clever bowler who could anchor the innings expertly. Astle is one of the complete players New Zealand have ever produced. Predominantly an opener, nothing could deter Astle's confidence to play freely in any situation. In the 223 matches, he featured in, Astle was a strong presence at the top of the order. His calculative approach combined with his clever medium pace bowling along with his expertise in the slip cordon gave the Kiwis a solid advantage of possessing him in their playing XI. Astle scored a total of 7030 runs in the ODI with a moderate average of 34.92 and when it came to striking it big, Astle could strike them crisp and colossal. In his ODI career, Astle has 86 sixes to his name.